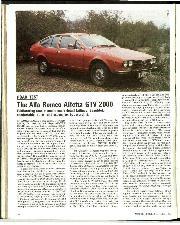 Though it is reasonably new to the British market the Alfa Romeo Alfetta can hardly be described as a "new" car, having made its appearance on the roads of Italy in mid-1972. It is notable for having its five-speed gearbox, clutch and differential as a unit at the rear of the car and for keeping its rear wheels vertical by means of de Dion rear suspension, a combined arrangement which the Milan company first used on the Formula 1 car from which this sports saloon takes its name, the Alfetta 159. Such a significantly unusual running-gear arrangement might have been expected to endow the Alfetta of the 1970s with significantly exceptional roadholding and handling, or why else should Alfa Romeo have justified their departure from the norm? 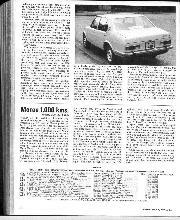 The beautifully-produced Press Release encourages us to believe that such is the case, but the claimed miracles are not obvious in practice; indeed, compared with conventional lay-out Alfa models we have driven the only pointer to the gearbox being in the rear is that the gearchange feels less positive. 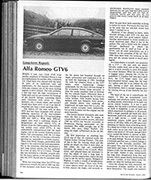 Nevertheless, the Alfetta is an exceptionally rapid little car, and while the effect of those design innovations did not come up to perhaps over-ambitious expectations, it proved to be fun to drive quickly and felt genuinely "sporty", whatever that is usually meant to imply, in true Alfa tradition. Its monocoque four-door body is reasonably compact at 14 ft. long and 5 ft. 5.3/4 in. wide, carries four people in very real comfort and a fifth slightly less so against the folded-away rear seat armrest and, if studied from the side, can be seen to have a subtle, yet definite, wedge shape and a cut-off tail to counter the vortex effect of the airstream. 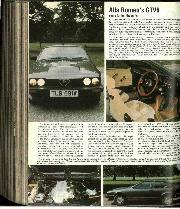 The Alfa engineers' sums and wind-tunnel tests obviously worked, for the 1779-c.c. twinoverhead camshaft engine is capable of pushing this saloon quite easily up to 112m.p.h. 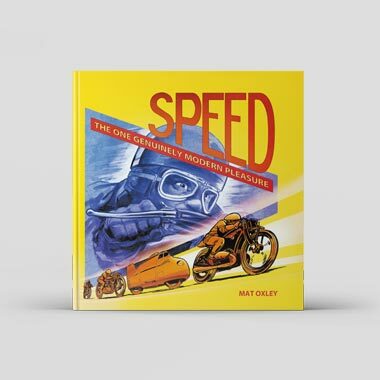 maximum speed, while 100-m.p.h. cruising is effortlessly maintained, the wellsubdued wind-noise, almost complete absence of suspension and tyre thump, and stability making such pleasurable progress feel more like 60-m.p.h. The sloped bonnet begins with an attractive GTV-style nose incorporating four very powerful halogen headlights, but most people seemed to consider that the wind-tunnel calculations had ignored aesthetics in respect of the very high tail. However, this rear-end appearance is far from distasteful and hides a really commodious boot, though luggage has to be lifted over the tall rear lip. High tail or not, the level of the rear window sill is such that the boot is invisible from the driving seat, not calculated to help with parking. Alfa have slipped the Alfetta at £2,448 into the gap between the Giulia Super 1.6 at £1,998.43 and a little close to the 2000 saloon at £2,599. It may have only a 1779c.c. 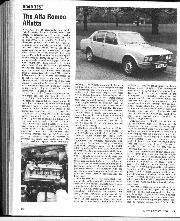 engine, but in terms of performance and appointments it compares favourably with the best of the current sporting 2-litre cars such as the Dolomite Sprint and the BMW 2002 (ignoring Alfa's own 2000, an awkward comparison). It is approximately £200 dearer than the non-overdrive model of the former, but is superior in terms of finish, passenger space (helped by convex side windows), bootroom, ride-comfort, high-speed stability and brakes, while the 2002 offers only two doors, only four poorly-spaced gear ratios, positively ponderous steering in comparison with the Alfetta, mediocre brakes under hard use and relatively basic interior appointments for £250 more. The 80 mm. bore, 88.5 mm. stroke version of the well-proven all-aluminium, twin-overhead chain-driven camshaft Alfa Romeo engine is quite highly tuned to give 140 b.h.p. SAE (122 b.h.p. DIN) at 5,500 r.p.m. Two twin-choke side-draught carburetters are fitted, Weber 40DCOEs in the case of the test car, though because Alfa are firm believers in not keeping all their component suppliers in one basket, Dellorto or Solex carburetters may be found under the fronthinged bonnets of others. The compression ratio is 9.5 to 1, which proved amenable to four-star fuel, the exhaust valves in the hemispherical combustion chambers are sodium cooled, the aluminium block has cast-iron wet liners, the crankshaft is supported on five main bearings and an antisurge, finned aluminium sump is designed to stay out of the harmful way of kerbs and similar objects. Memories of a hornets' nest once stirred by the Editor are recalled by the centrally-located plugs, described as Golden Lodge SPICA. Potential owners should not be put off by the apparent high state of tune of this engine, for the test car was as docile, tractable and generally happy in low-speed traffic as far more mundane engines. 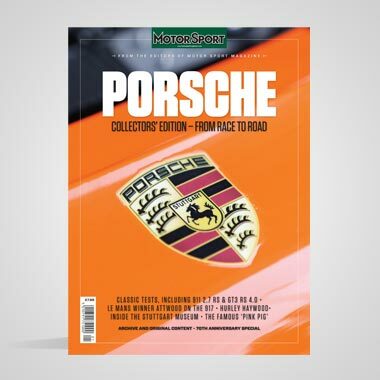 It would tick over happily with no question of it wetting its plugs and respond eagerly to a touch on the accelerator to put it on the move once again: in fact a very quick car around town. 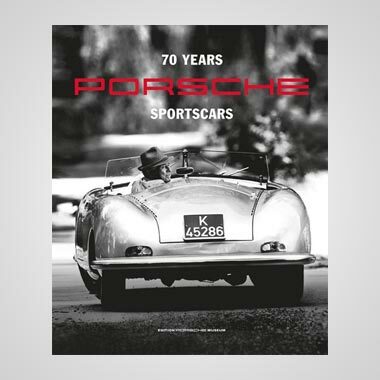 Less satisfactory, and I would believe a malady restricted to the test car, was an annoying flat spot which would occur irregularly and unpredictably at any revolutions below 4,000. 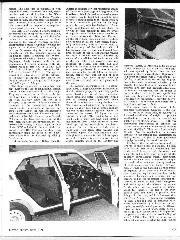 What I am sure was not unique to the test car was an insensitive throttle pedal which required a very delicate foot to operate it smoothly at low speeds, such a respect for lightness on the too-high pedal leading to an aching right ankle. Fast driving with the pedal pressed into the floor boards proved the best cure! 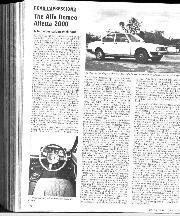 Such a problem was not obvious on a left-hand drive Alfetta I drove a couple of years ago and perhaps reflects on a lack of detail engineering attention to the right-hand-drive throttle-linkage conversion. Like Rover engineers of a decade ago the Alfa engineers decided upon the de Dion rear axle as the best means of keeping the wheels at right angles to the road, allowing the tyres to maintain their full contact area, and to reduce unsprung weight, helped further by moving inboard the 9.84-in. disc brakes. The axle tube is triangulated with longitudinal struts connected to a body crossmember and lateral location is by Watts linkage, pivoting on the de Dion. Variable rate coil springs, separate from the telescopic shock absorbers, are insulated with plastic to reduce noise and the suspension arrangement is completed by an anti-roll bar. The light-alloy combined clutch/gearbox/ differential unit, independent of the de Dion, is connected to the body by two Silentbloc bushes into the cross-member at the front and one at the rear. A two-piece propshaft incorporating flexible couplings connects the engine to the flywheel/clutch assembly at the rear (a starter ring is retained at the engine), so that the propshaft rotates all the time the engine is running. This hydraulically-operated 8.46-in, diameter single-plate diaphragm clutch connects with the all-synchromesh five-speed gearbox, with allindirect ratios of 1st: 3.30 to 1; 2nd: 2.00 to 1; 3rd: 1.37 to 1; 4th: 1.04 to 1; 5th: 0.83 to 1; reverse: 2.86 to I. The gearbox output shaft enters directly into the differential to double as the final drive pinion and the axle ratio is 4.1 to I, giving 20.8 m.p.h. per 1,000 r.p.m. in 5th gear. The front suspension is simplified and kept quiet by the use of longitudinal torsion bars in favour of the usual Alfa coil springs. They are connected at the front to the inboard pivot of the bottom wishbones and at the rear, half-way down the car, to a T-shaped cross member. Adjustable tie-rods connected to the pressed-steel top links permit camber adjustment, an anti-roll bar complements that at the rear and telescopic shock-absorbers are fitted. The outboard disc brakes are of 10.27-in. diameter. A wide track (53.5 in. at the front and 53.15 in. at the rear) helps stability and appearance, the 5.1/2J pressed-steel wheels, similar in style to those of the GTV and shod in the case of the test car with 165 SR14 Firestone Cavalino tyres, purposefully stand out proud of the bodywork where they are legalised by slightly flared arches. Unfortunately, like many Italian cars, the Alfetta is designed for that mysterious species of Italian with short legs and long arms. The heavily-varnished, thick-rimmed wooden steering wheel can be tilted but cannot be telescoped to bring it closer to the driver when he is in a comfortable position for the high pedals. In truth, with familiarisation I found myself complaining less and less about the driving position, tending to feed the wheel through in police fashion rather than letting my hands run over the distant top. The seat, on the other hand, was remarkably comfortable, padded in all the right places, beautifully upholstered, with a knurled knob to adjust the angle of the backrest (which I had to keep more vertical than I would have liked because of the distant steering wheel) and with a built-in head-rest adjusted by means of a small knurled knob on the side of the seat. The front passenger seat was identical, of course, and both had map pockets in the rear of the back rests. All the seats were upholstered in a most attractive and comfortable, smooth fabric, a standard fitting, carpets were well-cut and of good quality, the four doors opened wide for easy access and head room was plentiful in the rear. The Alfetta's instrumentation is particularly clear, a large tachometer, incorporating the oil pressure gauge, and matching speedometer flanking a row of three dials—fuel gauge, clock and water temperature—with a row of warning lights positioned above them, all mounted in a rectangular binnacle. There was no reflection from the instrumentation, night or day, but in strong sunlight the top of the binnacle reflected across the centre of the screen. All lights are controlled in usual Alfa fashion by a lefthand stalk, a short left-hand stalk controls the flashers (how I wish all manufacturers would get together to decide on a universal position for the flasher stalks), and a right-hand stalk looks after washers and two-speed wipers. The facia contains a lockable glove-box, there is further oddment space on a shelf below this and in a tray in the centre console, ahead of the ash-tray and cigarette lighter. A Motorola radio mounted In the under-facia part of the test car's console was spoiled by boom from the twin speakers in the rear parcel shelf. Opportunity to present the driver with a wide rest for his left foot is afforded by the absence of gearbox, a fact which is otherwise hidden by the console. The four horizontal quadrant heater controls give easy and accurate adjustment of interior temperature, the fan motor is noisy in the fastest of its two speeds and these controls are not illuminated at night. Through-flow ventilation is provided by eyeball vents at the extremes of the facia and a heated rear window is fitted. The raison d'etre for the removal of the complete transmission assembly to the rear of the car is, to quote Alfa, to achieve; "a balanced distribution of weight optimum roadholding ... to increase the roadholding quality of the driving wheels . . with this tremendous improvement of adhesion the driver can accelerate even on rough surfaces without skidding." They were kind enough to add: "As for roadholding in general, stability on the straight and acceleration on bends, we will be glad to allow journalists to judge by testing the car themselves." . . . 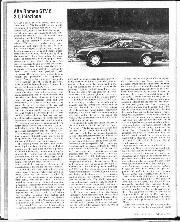 The fact is that the Alfetta doesn't entirely live up to their hopes and claims. To deal with traction first of all, accelerating hard in the wet it is easy to spin the wheels and snake the tail a litle, while in spite of the allegedly advantageous weight distribution and the de Dion axle, it is possible to spin the inside wheel when accelerating hard out of tight, damp corners or bumpy, dry corners. Neither is the handling all that might be expected of it: there is a lot of understeer when pressing on round medium bends, admittedly balancing out somewhat on fast corners, and in the understeer condition the steering is made to feel fairly low-geared and heavy against the self-centring action. At the other extreme, round a wet roundabout for instance, the tail breaks away quickly (and can easily be provoked into doing so in the dry), and it is fortunate that one of the Alfetta's virtues is that correction in such a tail-end skid is extremely easy, albeit accompanied by a lurch as the car regains its straight-ahead posture. A different choice of tyres would undoubtedly help; a set of the new Goodyear G800 Supersteels completely transformed the roadholding of a staff 2000 GTV. Quite a lot of roll is exhibited and some peculiar lurching, almost wobbling movements a little reminiscent of the live axle Alfa saloons. Incidentally, unlike the 2000 saloon and GTV, the Alfetta does not boast a limited slip differential and while on paper it doesn't need one, in practice it would be a help. Mention above of the steering is misleading in the general sense, for when it is not being used to combat understeer it is one of the Alfetta's finest points, in fact quite delightful in feel, response, effort required at high or low speed and without a doubt superior to that of any saloon car I can think of. It is rack and pinion, the rack being mounted well back below the rear of the engine, and imparts a real thoroughbred feel to the Alfetta. The all-round disc-brakes are servo-assisted, the direct servo remaining in its lefthand drive position and operated remotely by a pivoted bar on the right-hand drive version, and have a dual circuit with a regulator in the rear circuit. They were effective but the pedal was soft and insensitive, possibly because the pads had been well-cooked by previous testers. If they hadn't been wellcooked they have now, for I managed to provoke fade round some deserted East-Anglian lanes, though sufficient braking remained to avoid embarrassment. Those gear ratios proved an absolute delight, all five arranged in a manner which encouraged their constant use, rather than fifth being a far-removed overdrive. A slightly optimistic speedometer gave readings in the lower gears at the 5,700 r.p.m. red line of 30 m.p.h., 50 m.p.h., 76 m.p.h. and 100 m.p.h. and the excellent engine revved so willingly at the top end that the limit was used regularly. However, the gearchange was notchy when cold, 1st gear was often difficult to engage from rest, and 2nd gear synchromesh could be beaten easily. But once warm the five speeds (5th being up to the right opposite reverse) could be engaged rapidly and accurately via the long, rearwards-pointing remote control. The engine was fairly noisy under acceleration, a sporty, inoffensive sound quite in keeping with the car's general aura, and of course as already mentioned the cruising noise level was very refined. Fuel consumption when driven moderately quickly averaged 25 m.p.g., but on that day in East Anglia dropped to 20 m.p.g. The tank holds 10.7 gall. Because its unconventional layout promised so much the Alfetta has left itself wide open to criticism because it doesn't quite achieve the expected. It is unfortunate for and unfair to a car which in general beats most of its competitors into a cocked hat, is beautifully finished and constructed, can probably be driven from A to B faster and more enjoyably than the majority of production saloons and is, after all, an Alfa Romeo into the bargain.—C.R.